Executive function is defined by some researchers as conscious control over thought and behaviour directed towards a goal and they have shown that from as young as 30 months of age language abilities - being able to label picture cues - influence performance on executive tasks. [ 8,9] Acquiring language has very significant effects on being able to think, remember, reason and control actions. Eminent thinkers such as Piaget, Vygotsky and Luria drew attention to the significance of language development for cognitive development. Vygotsky suggested that at the first stage of talking, children learn words in a social context and their words must be spoken aloud to others to have meaning for them - social speech. Children then move on to learn to speak to themselves, often during play when they can be heard thinking and controlling their own actions aloud - private speech. The last stage is the ability to use inner speech or silent speech to oneself when thinking, remembering, planning, reasoning, problem solving 'in mind'. However, researchers suggest that the early foundations of executive functions can be seen in the first year of life as children begin to show control over their behaviour, explore, play, make choices, initiate new actions with toys, learn about cause and effect and solve problems like shape sorters or stacking toys. 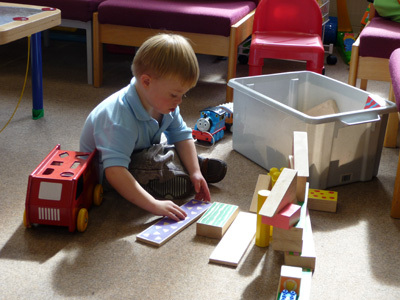 At this stage, motor skills matter for exploring and manipulating toys and objects. Children show they are controlling their behaviour before they are using language to think and when presumably visual, other sensory and emotional representations 'in mind' underpin recall and control of people, objects and actions. It may be important to consider that some behaviours which clearly reflect learning and planning are actually controlled by the brain at a subconscious level. This applies to most daily motor activities (reaching, picking up objects, cups, walking, bending, stepping up steps or around objects) where practice leads to smoother and faster automatic control over time. Some motor activities (learning to play tennis, ski, drive a car, play a musical instrument, dance) may be taught by encouraging a child or adult to control movements with conscious instruction but over time practice leads to automatisation and control goes to a subconscious level. In the recent literature on executive control in children and adults with Down syndrome the role of language and the difference between subconscious automatic control (also called implicit) or conscious real time control (also called explicit) has not been explored, though it has been in some memory studies. 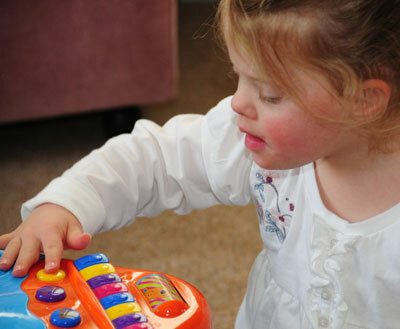 It is possible that it is easier for individuals with Down syndrome to develop implicit than explicit control given their delays and difficulties with expressive language. Many teenagers and adults with Down syndrome are described as often using self-talk or private speech when thinking and working out what to do in situations where others would be using inner or silent speech. This could indicate that many individuals with Down syndrome actually find inner speech difficult to use to think, deal with emotions and control their behaviour. Research should also be considering how important vocabulary development is in labelling objects and drawing children's attention to concepts such as size, colour, texture and weight with words. In addition grammatical development and its role in allowing children to understand and express more complex ideas and to manipulate ideas in mind needs to be considered. Training studies are needed to explore what is possible and what the underlying challenges may be for children and adults with Down syndrome on executive function tasks. In addition to allowing them to learn and practise until they reach their best performance, the effect of teaching them to self-direct using spoken language when planning or problem solving should also be explored. Diamond mentions Cogmed training in her review of effective training strategies and the first study of Cogmed training for children with Down syndrome reported a benefit for visuo-spatial short term memory and an improvement on working memory and shift in everyday function. Importantly this small study showed that this type of computerised training was possible with 7-12 year olds with Down syndrome but it needs to be replicated with a larger group of children and the benefits of training gains for daily executive function and learning explored over time.